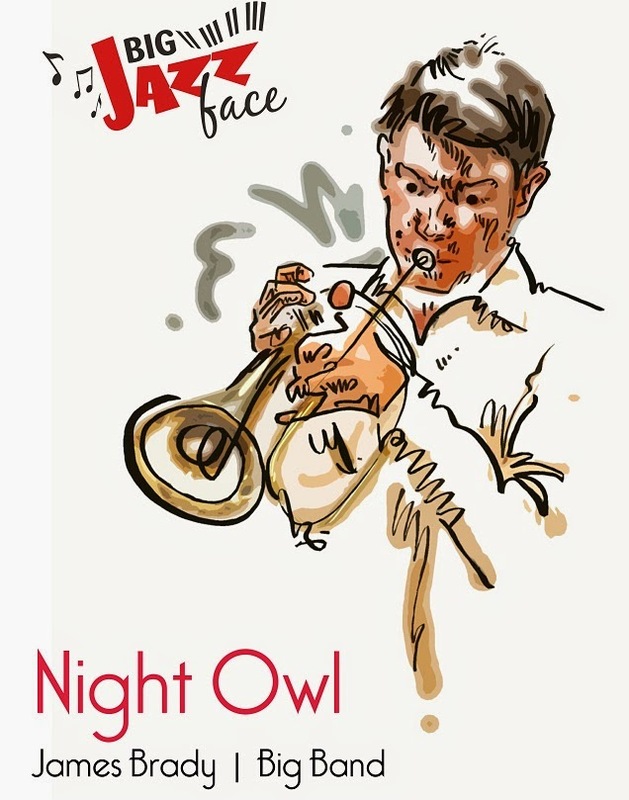 It's with great pleasure that I've starting working with the sheet music specialists Big Jazz Face as their in-house artist. As you know a huge part of my life revolves around sketching and listening to musicians while the play live, more often than not it is with a 'chart' in front of them, their eyes darting from side to side to read the notes on the page. Big Jazz Face is place to go for the best original and arranged charts for Big Band and Jazz Combo. They supply original and arranged music over a broad spectrum of genres including - Concert Band, Brass Band, Brass ensemble and Percussion ensemble. I've already been tracking down some of their bright new stars writing in the Jazz and Big Band arena, as well as seasoned professionals at the peak of their careers. They welcome submissions from new composers, but only publish the very best, as I can testify first hand.